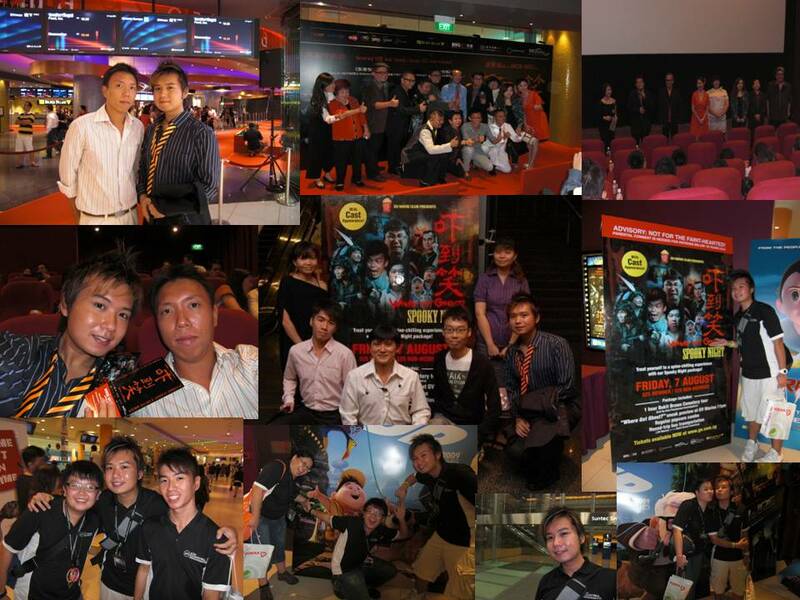 Been through some events lately… And here are some pictures to share! Jack and Cast in our cinema for a short intro before the show. In the seats with my big gala passes. Me posing with the poster. The 3 Musketeers after the Spooky Tour: Tiger, Arty and Sparky! Me and the birthday cakes. Me and ZaiZai all decked out in Red! Group Pic! (From Left: Iman, Guobao, Siti, Don, Terri, Alex, Me and ZZ). Me, Terri and ZZ posing with Singa. Me, Alex and ZZ on the picnic mat. Just look at the huge crowd behind us! Teaching ZZ how to play Uno. Yup, I was THAT bored while waiting for the rest to come! Parade is starting and we are sitting on the bench in front of the floating screen. 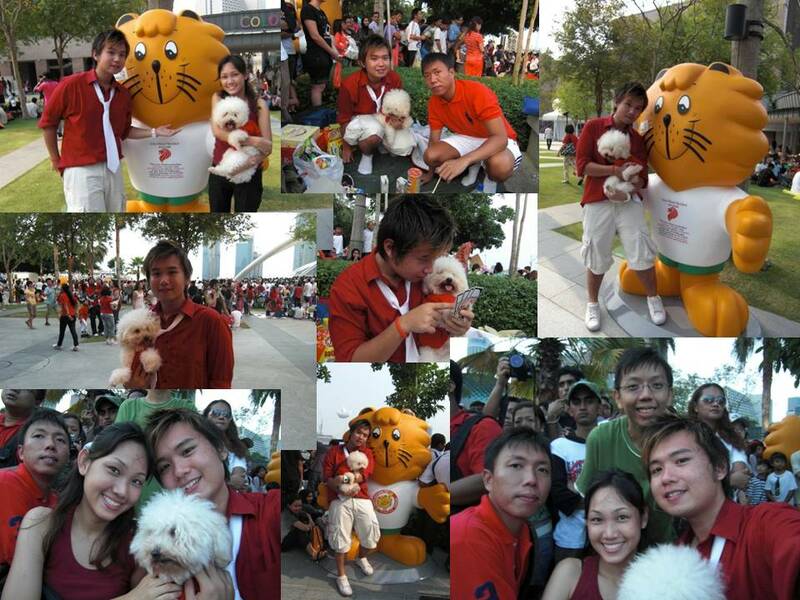 Me and ZZ with the Singa closest to our picnic ground which is now infested with other ppl! Happy 44th Birthday Singapore! Nope, no NDP tickets this yr, but we had a blast anyway! 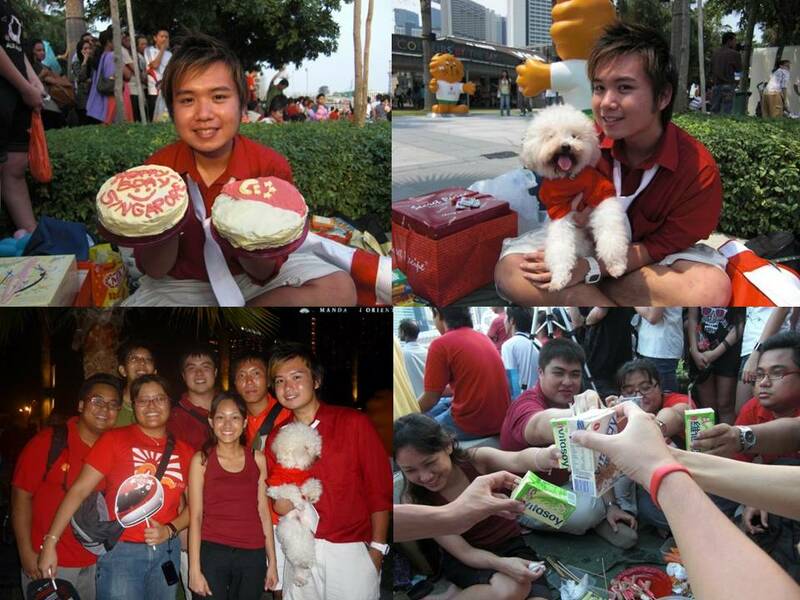 Got some of my closest friends with me to put up a potluck picnic to celebrate Singapore’s birthday together! Was at Esplanade since 1.45pm to CHOP good place with Mr Lim and ZaiZai… Sun was blazing hot but the spirit of National Day in the air is everything I need to keep me going! Terri, Don, Siti, Abang (Iman), and GB join us subsequently and while waiting for the parade to start, we started to go old school with games such as Old Maid, Donkey, Snap and Happy Family! We also had a great round of Taboo! We also had a BIG Yam Seng with Vitasoy (that sent everyone around us STARING our way)! Oh, and did I mention that I am the one that made (the icing) and decorated the gorgeous birthday cakes for Singapore’s 44th Birthday? Haha… That is the next best thing to the fireworks that night! Mr Lim and Me with fondue. Princess and Me showing off our Sundae Creations. I so hate Princess for the emailer promotion coz I think my face look rounder than ever halfway through gorging on fondue, cakes, pies, cream puffs and ice cream! 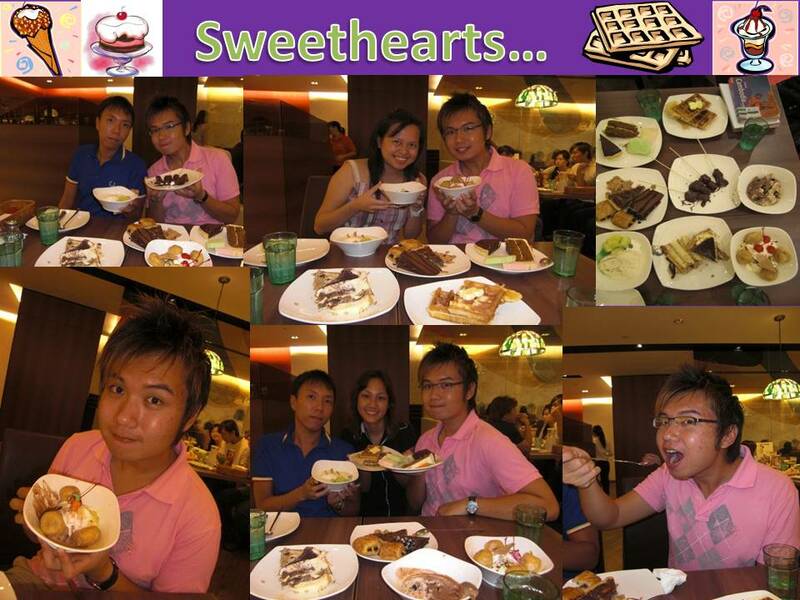 But for the price that we paid, this is really a very good dessert buffet to try once in a lifetime! I prob will go back again, but it definitely wun be soon… And there must be the one-for-one promotion again coz I seriouly dun think one can eat 20++ bucks worth of desserts over there! Will post the emailer in my next post for you to enjoy the promotion too! Just print it out (black and white or color, in any size) and bring it down with you to the Swensons at Orchard Ion. Have fun! And if you get lost and need directions, just gimme a buzz! This outlet is particularly hard to find. We walked that level at least 3 rounds to find it! ← Up- The Best Disney Flick of the Year! aweeesomeeeeeeee hey may i take yr buffet pic for my blog? swensens voucher post as well. cakes as well huh. so basically its $19 for 2 then? gawd the cakes n all… i think icecream wud be best since never make us full. crazzyyyyy whoooooo love it! Sure thing! Share the great deal with your friends! Let me know your experience at the buffet!